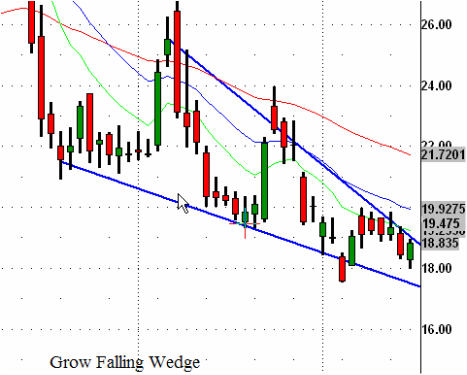 A Falling Wedge is a chart pattern within the context of a downtrend composed of two downward sloping and converging trendlines connecting a series of lower swing/pivot highs and lower swing/pivot lows. Background:The power of a Falling Wedge can be greater after a moderate downside move due to the possible decrease of overhead resistance as the pattern is formed. Falling Wedges can be stronger when the series of lower swing/pivot highs and lower swing/pivot lows that formed the pattern narrow down into a point/apex as bears become less interested in selling. 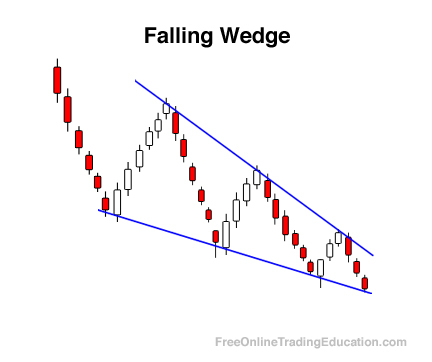 Practical Use:Technical analysts will use Falling Wedge patterns as the beginning of buying opportunities, especially when in context with other tradable buy setups. 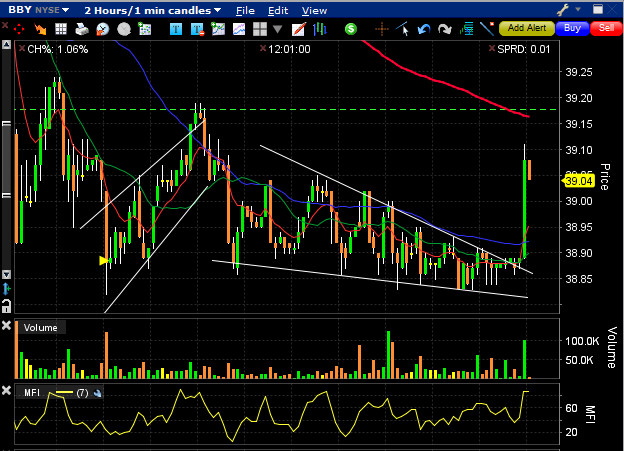 In addition, traders will often simply avoid further shorting opportunities when they occur in the context of a Falling Wedge.